Shin Sen Gumi is one of those places that I always pass by on the corner of Atlantic and Garvey, but never gave it a thought. It might be the location, or it might be the quite plain writing, but I never thought twice about it. I do remember passing by it often though. After hearing good things about the Little Tokyo property, I decided to jump on it. 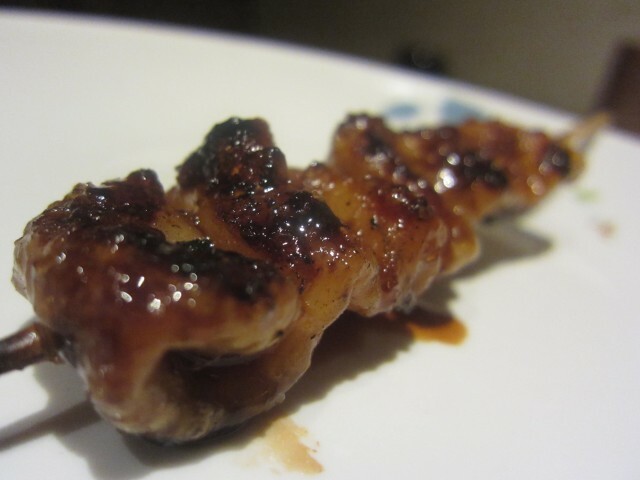 We started off with the yakitori– pork belly of course. The taste was pure as can be. 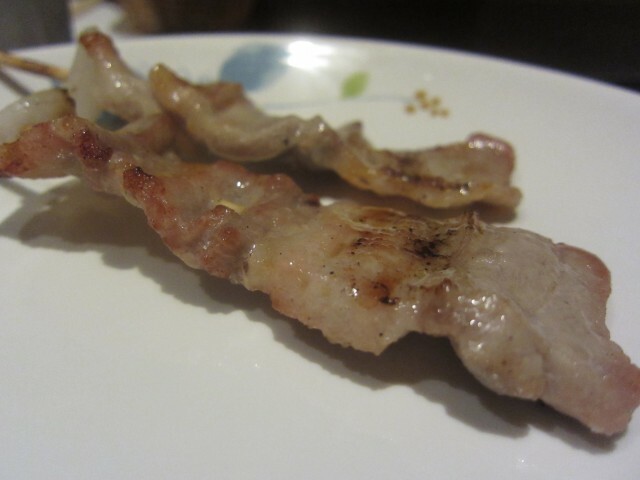 The taste of the pork was so clean. This was achieved by cooking this over hot coals. Pork, amongst other meats is great with that burnt charcoal taste. Something about it is so primal and delicious! The bacon wrapped quail eggs was such a great idea. As a person who eats and loves eggs in general, this was definitely a treat. One of my favorite breakfast items is bacon and eggs. The salty bacon with the quite universal egg was a perfect match. The green onion was also a nice touch. When I saw chicken skin on the menu, it was a must order. Though not as crispy as I’d like, the chicken skin was still tasty. It just isn’t the same if it wasn’t deep fried. 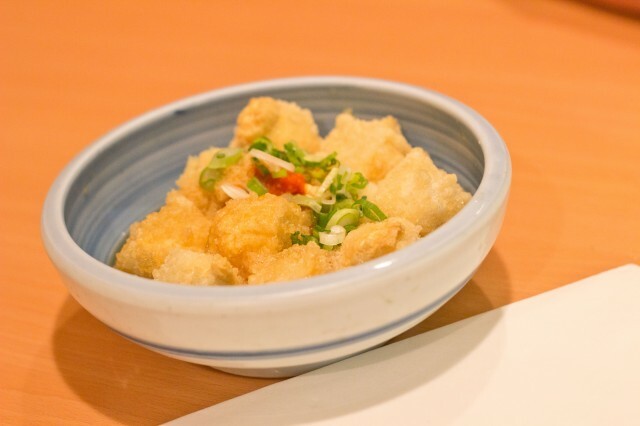 That crunch is really lost, and really why we love chicken skin. It was a cold day, so shabu shabu was in the mix. I didn’t really care for the vegetables, but the pork was fresh. The broth was the best part. It wasn’t too salty and had a very clean flavor. Shin Sen Gumi was a great experience. Finally after all these years and passing by it all the time, it is off the list. 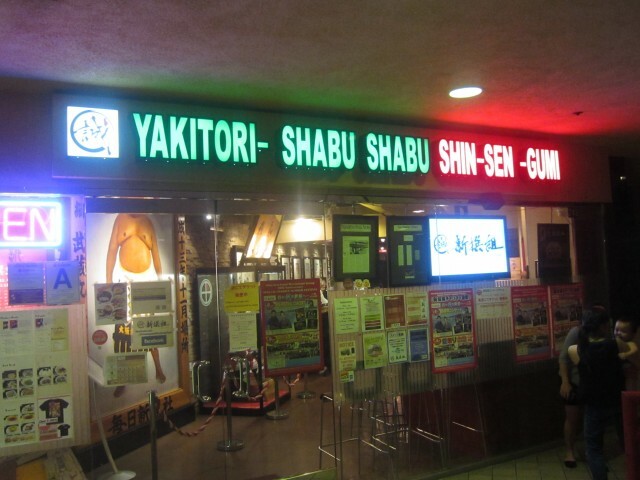 If you like yakitori, this is a great stop. Unfortunately, I did not try their ramen, but I am not expecting anything amazing. I’ll possibly try it one of these days. It is getting colder by the day. 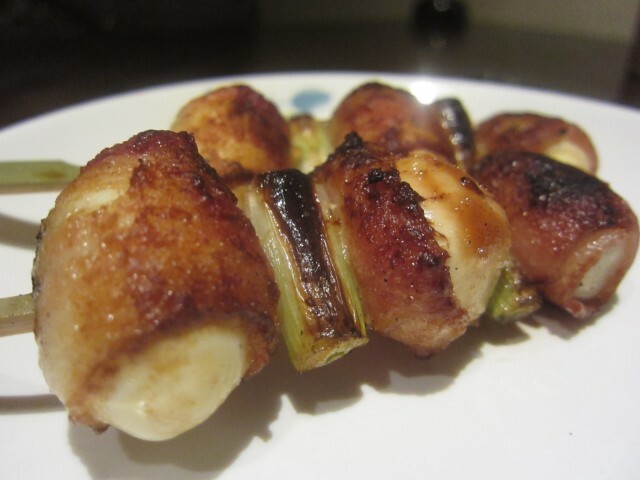 Until then, the yakitori will do. After becoming a food blogger, the pizza as I know it changed. I don’t seek the gooiest cheese, cheese stuffed in the crust, overload of 5 kinds of meat, or a snowy layer of parmesan cheese. To me, if I finished the crust, the pizza was good. I can’t count how many crusts were thrown back into the pizza box. Pizza crust is the worst — probably why Pizza Hut and Dominoes has been stuffing them with cheese and sprinkling garlic butter on them. My friends, the dough is the most important part of the pizza. The dough at Fuoco was quite decent. With flakes of char and crust on the outside, warm chewy center on the inside, this is what a pizza dough should be. Though I expected a little more rise and fluff on the outer crust, the dough with toppings were kept at bay and wafer thin. I wasn’t expecting much from this Downtown Fullerton spot, but I was quite happy with it. 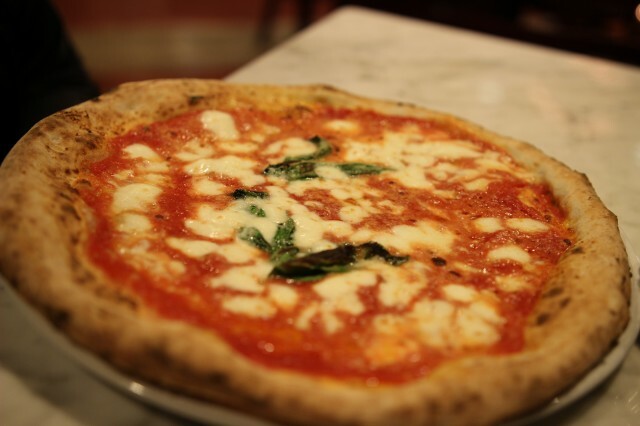 The Margherita was classic, and the cheese, though not as fresh as I’d like, was still pretty good. The tomato sauce was impressive, and quite delicious. 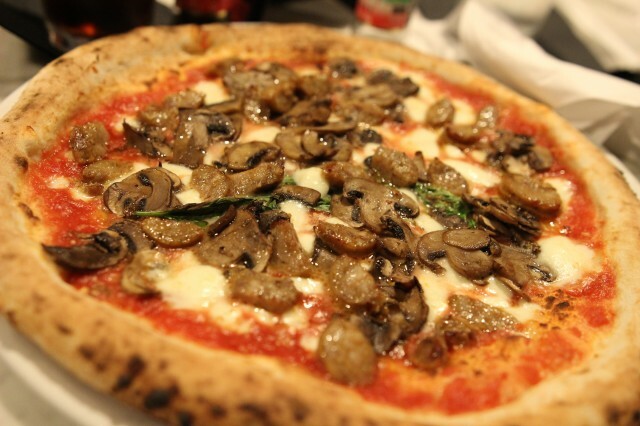 My Funghi e salsiccia had good mushrooms, but the slices of sauces were uninspiring. Ground pork with spices and lots of fennel would have been perfect! 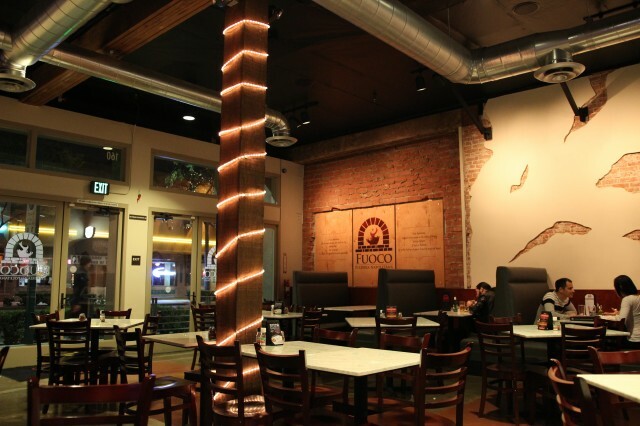 Fuoco Pizzeria Napoletana has something special. Their dough is better than most, and the toppings are fresh. 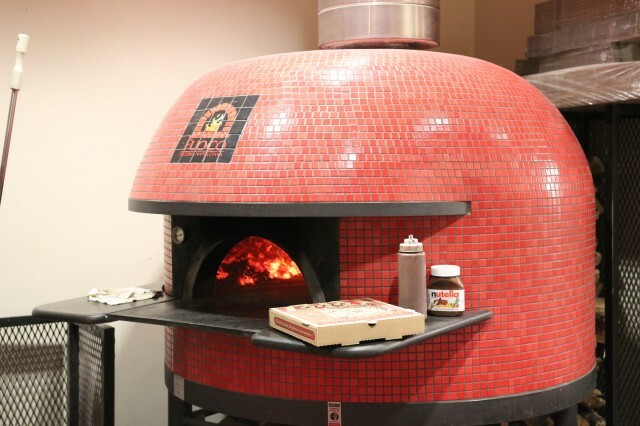 With a pretty legit brick oven stove, I could only dream of owning one of those bad boys. Tweaking of my own pizza dough is all for nothing without the 500 plus degrees of burning embers. Honestly, it was a good time eating pizza with a knife and fork and enjoying the crust. It sure beats the cheese stuffed crust variation. 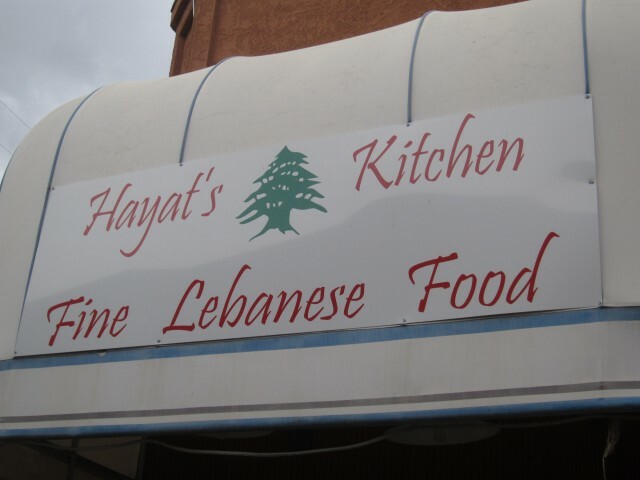 On the outskirts of Burbank, which to me is pretty much North Hollywood, sits Hayat’s Kitchen. Here lies, some of the best Middle Eastern (Lebanese) food you can find on the cheap. The vibe inside is casual, the decor is to a minimum, and they have a TV. I watched the Lakers game, enjoyed some classic Middle Eastern food, and enjoyed the time. Here, the vibe is similar to that of Mario’s Peruvian. Nothing is pretentious, and the food takes center stage. Everything tasted as it would come out of any Lebanese family’s home. 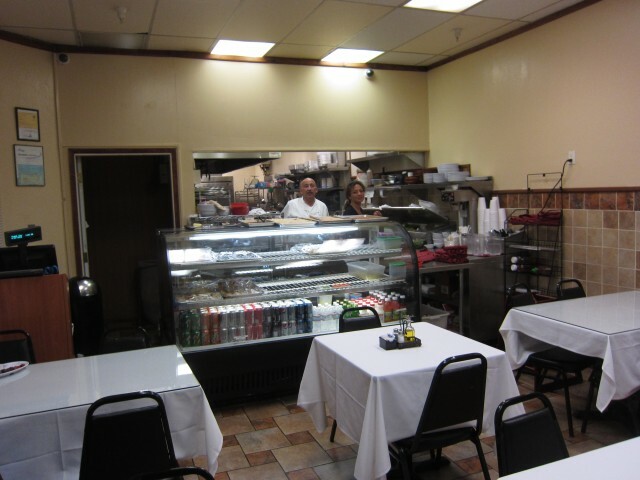 Hayat’s is really unmatched, and one of the best places to get Middle Eastern food in the Los Angeles area. We started things off with one of my guilty pleasures: french fries. 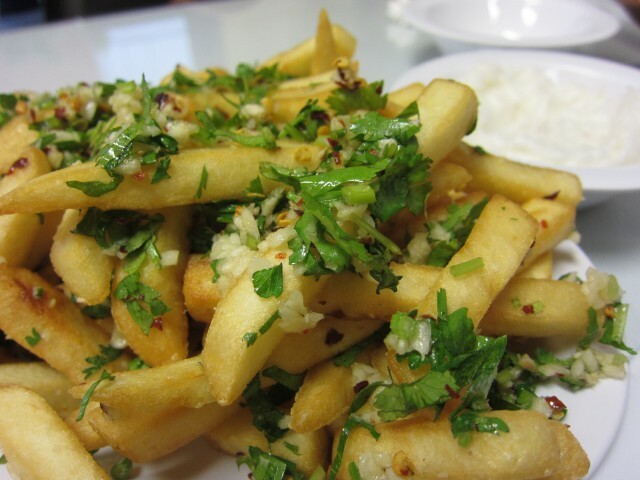 The potatoes harra were fries with garlic and parsley on top. Think, garlic fries on crack. Served with a side of toum, the bright white garlic sauce, you know, like the one at Zankou Chicken, the pure taste was incredible. The garlic level was increased exponentially. This was the perfect start and what garlic fries should be. The parsley did a nice job in keeping the garlic in check. 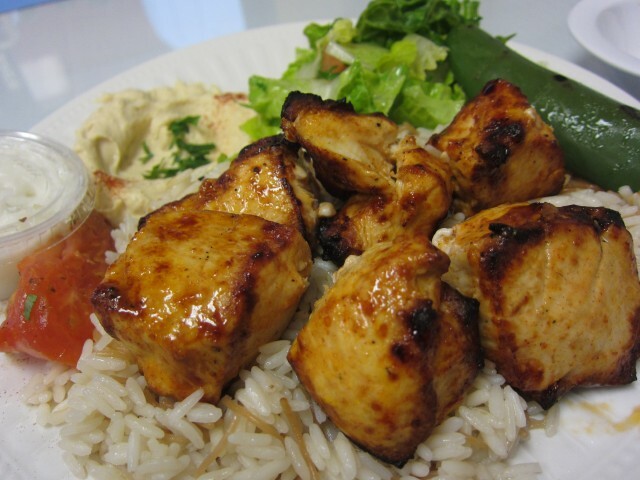 The Kabob shish tawook was a favorite of mine. The marinated charbroiled chicken breast with pepper and tomato was a perfect mix, and the chicken wasn’t dry. It came with rice, hummus and salad, and mixing everything inside the pita was delicious. We ordered the hummus with meat, and we got, hummus and meat. 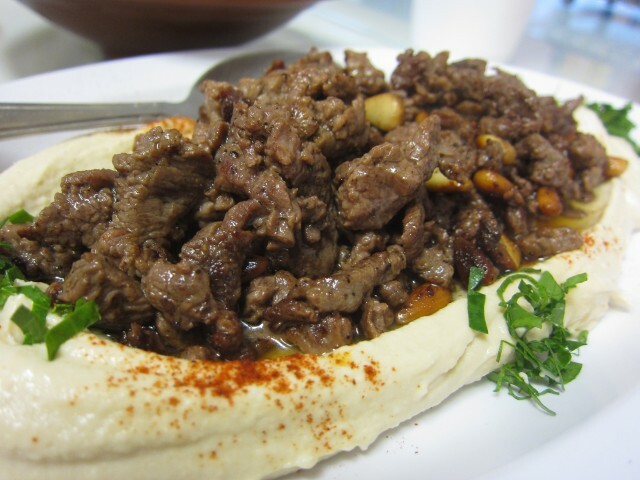 It was literally a dish of hummus topped with sautéed meat and pine nuts. This sauce, dip, meat concoction was terrific! Not only did I get some hummus in my pita, it had beef inside! Mixing everything from the chicken, lettuce, garlic sauce, hummus, and beef, it was a perfect bite every time. 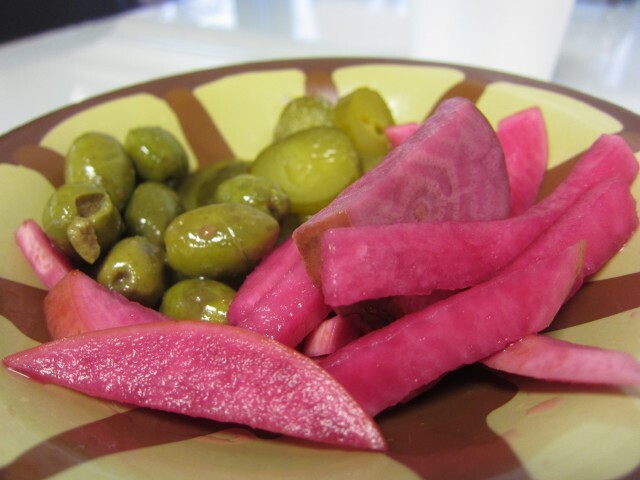 When Eating Middle Eastern food, it would be for nothing if it weren’t for the side of pickled radish, pickles, and olives. The bright red radishes, with their sour crisp texture is the perfect remedy for meats and fatty dishes. Going back and forth from the pickled veggies and each bite of the pita was like a well oiled machine. Bite of the pita pocket, bite of the radish, some garlic fries, and back from the beginning. At the end of our meal, they gave us some complimentary baklava. The sticky, gooey good stuff was a perfect end to this surprisingly tasty meal. 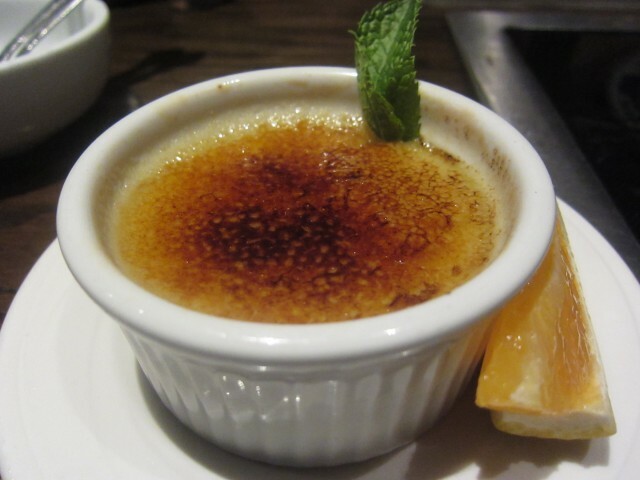 Hidden in the corner of a strip mall, Hayat’s is certainly a gem. 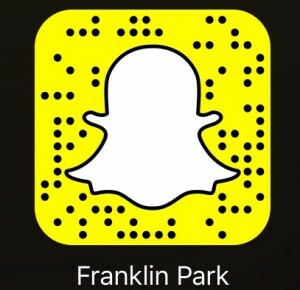 The food is pristine, tasty and affordable. 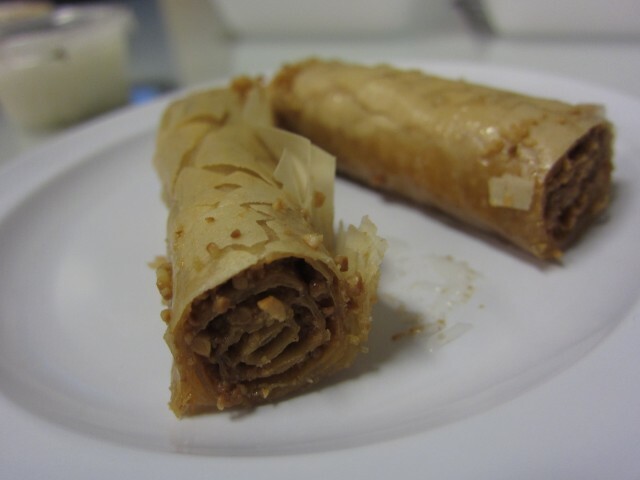 You definitely get more than what you pay for, and little touches like the complimentary baklava keep people coming back. Now we need to do something about having one closer to LA. 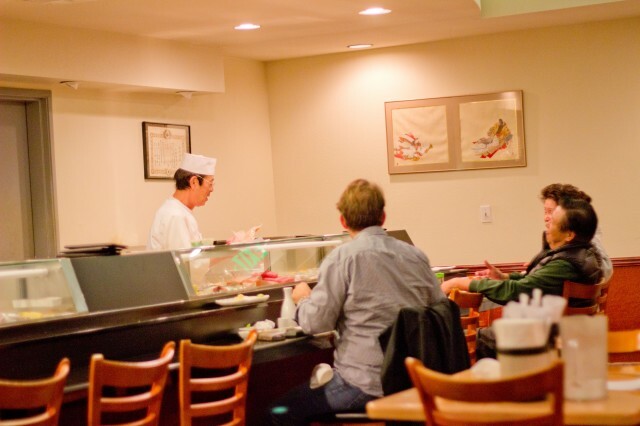 Excluding Newport Seafood, a handful of Chinese/Taiwanese cafes, and Boiling Crab, it’s slim pickings when it comes to eating out in the City of Industry. I was in the mood some some proper sushi, and besides Akasaka, I couldn’t find any. 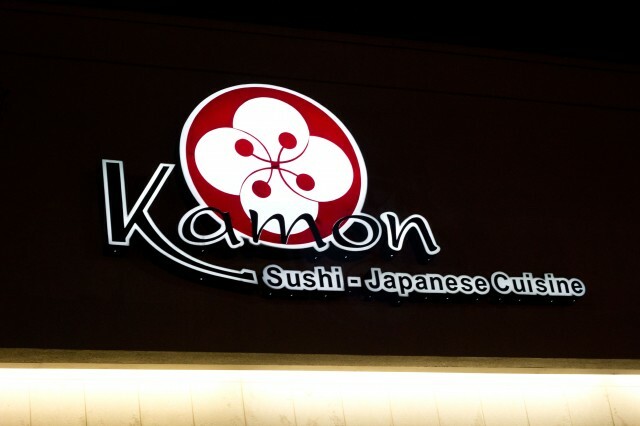 I heard some good things about Sushi Kamon, and wanted to give it a try. I wasn’t expecting much, and as a someone who was in the mood for some good quality sushi, I really should have looked elsewhere. Edamame. 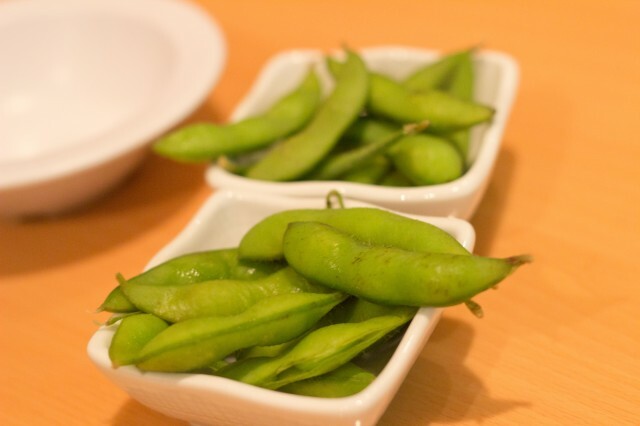 Every sushi restaurants starts off with edamame. Let’s move on. Once I saw agedashi tofu on the menu, I flipped. I spoiled myself, having had Raku’s awesome agedashi tofu. Kamon’s was more like fried tofu in a soy sauce based sauce/soup. It was good, but nothing can touch Raku’s version. 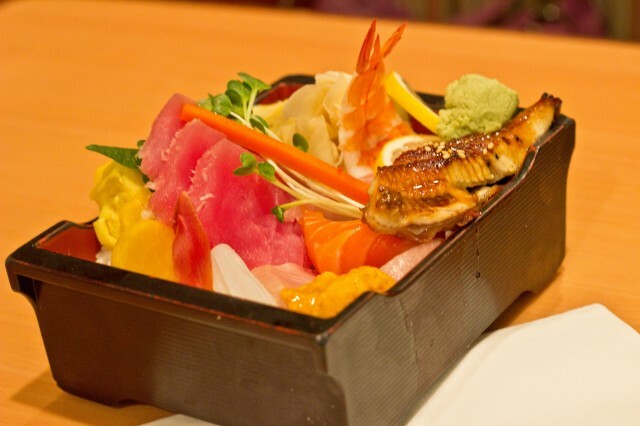 The best chirashi bowl in town has to be from Akasaka. I know I keep comparing stuff from Kamon from the best, but that is what I do. I mean, for the price, the chirashi bowl was kind of nice. It had a awesome array of different kinds of fish, and lucky, included uni. Though not as fresh, it had all the fish that I liked. 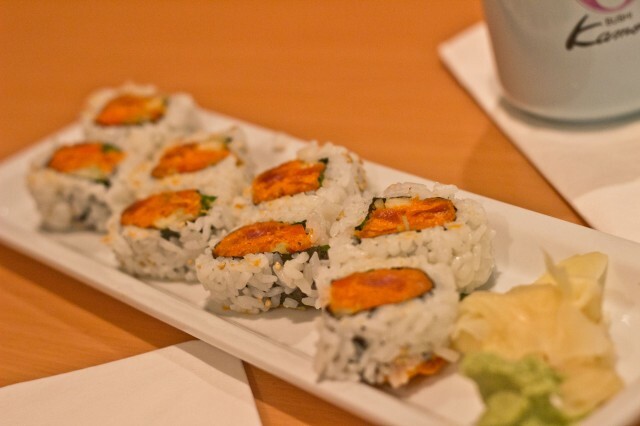 To finish things off, we got some spicy tuna rolls, because, come on, we always need to order spicy tuna rolls. The rolls were pretty standard, and spicier than most. Possibly to mask un-fresh fish? The rice though, was perfectly al dente, as I like my sushi rice to be. It was a good end to a substandard sushi meal. Sushi Kamon was nothing special. I won’t go home thinking about it; I won’t count the days until I can have it again. Yes, I did compare the agedashi tofu to the best of the best, and I did compare the chirashi bowl to the best. Kamon just didn’t have that special quality. It didn’t have an old guy in the back cutting the freshest fish, nor was it busy. It just seemed like the restaurant lost it’s passion and is there just to serve mediocre fish. City of Industry, you have done it again.